The world was in shock yesterday as people watched Paris’ famed Notre Dame cathedral burn, but as dawn approached on Tuesday, the iconic church remained standing and, for the City of Light, the healing began. “We'll rebuild this cathedral all together and it's undoubtedly part of the French destiny and the project we'll have for the coming years," said France’s president Emmanuel Macron, after visiting the site. Donations have already started pouring in from corporations and individuals around the world, already totaling more than $700 million. Apple CEO Tim Cook pledged to donate to the rebuilding effort, and cosmetics group L’Oreal, the Bettencourt Meyer family and the Bettencourt Schueller Foundation, will donate a total of 200 million euros. French business magnate, investor and art collector Bernard Arnault, who is also CEO of luxury goods company LVMH, also pledged 200 million euros to the rebuilding effort. Francois Henri Pinault, who owns luxury goods company Kering, with brands such as Gucci, Yves Saint Laurent, Balenciaga, Alexander McQueen, Bottega Veneta and more has pledged 100 million euros through his Artemis holding company. For those who would like to make a contribution to the rebuilding efforts, there are a couple of organizations that are accepting money for Notre Dame. Donations can be directed to Friends of Notre-Dame de Paris, which is a 501c3 charity that has been raising funds to help finance the restoration of the cathedral that was already underway. Fondation du Patrimoine is a French nonprofit that funds preservation projects in France, and it has set up a special section for contributions specifically for Notre Dame on its site. 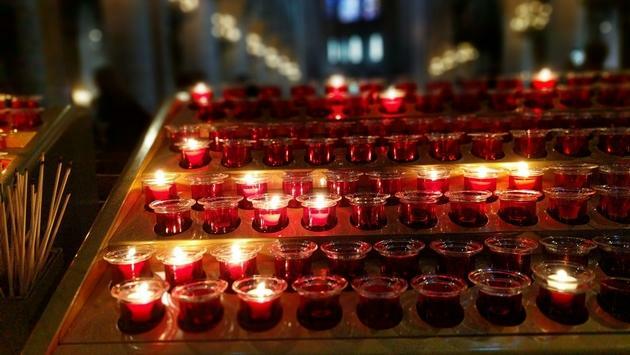 In the U.S. specifically, the Basilica of the National Shrine in Washington, D.C., has set up its own fundraising campaign, and the French Heritage Society based in New York City has set up the Notre-Dame Fire Restoration Fund. No matter what site you donate too, be sure to check that the funds collected are meant for the reconstruction of the cathedral.